Anita J. Steffey, 72 of Zanesville died at 6:30 AM Sunday, November 18, 2018 at the Altercare of Zanesville following a short illness. She was born November 26, 1945 in Zanesville the daughter of Clarence William Roberts and Laura Elizabeth Virtue Roberts. Anita was a member of St. James Episcopal Church and had retired after 25 years of service from Sears & Roebuck Department Store. She then was employed with the Muskingum County Clerk of courts and most recently employed with Transitions. She mostly enjoyed spending time with her friends at the Eagles and especially enjoyed watching her grandkids in all their many activities. 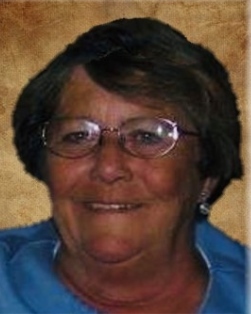 She is survived by her two daughters; Kim (Avery Thorn) Rich & Laura Tompkins and a son, Stephen (Jeanne) Steffey; grandchildren, Olivia & Samantha Steffey and Ryan & Tyler Tompkins; a sister, Roberta Leslie and a brother, Gary Roberts; and special friends, Shirley Weaver and Todd (Dyanne) Stewart. Anita was preceded in death in addition to her parents by her husband, Dennis E. Steffey; and a sister-in-law, Dollie Roberts. Visitation will be held 2-4 PM & 6-8 PM on Friday, November 23, 2018 at the Bryan & Hardwick Funeral Home. Funeral service will be held at 9:00 AM on Saturday, November 24, 2018 at the St. James Episcopal Church with The Reverend Robert Morris officiating. Burial will conclude at the Zanesville Memorial Park Cemetery. Memorial contributions can be made to Transitions Inc. PO Box 156, Zanesville Ohio 43702. The Bryan & Hardwick Funeral Home, 2318 Maple Ave. Zanesville is in charge of the arrangements. To share memories and condolences with Anita’s family please click on the Tribute Wall tab on this page.